In honour of Earth Day, today’s tale is to introduce you to a Professional hair care line that wants your hair and our planet to be beautiful. – Paraben free, Sulfate free and Gluten free. – It is free of dyes, DEA, Phthalates, Sodium Chloride, Propylene Glycol. – Onesta is cruelty free (they love bunnies), PETA approved, Vegan and EU compliant. *EU Compliant = meets the strict regulations on ingredients used in personal care products. Over 1300 ingredients have been banned as additives to personal care products in Europe. – Onesta is a true Green Brand. Their bottles are made from PCR (post consumer resin). Recycled content is used in all merchandising, product displays, boxes and packaging. Onesta maintains a low carbon footprint as it is 100% offset by wind power and are proud to be a part of the Sustainable Manufacturing Movement. Onesta is also Rainforest Alliance certified. Smooth & Shine – a styling cream that is strong enough for coarse hair and lightweight for fine hair. It is humidity resistant, controls your frizz all the while adding luster to your lovely locks. Create Firm Finish – a hairspray that offers long lasting hold that is never stiff or sticky. It provides volume and flexibility, is humidity resistant and offer thermal protection. One more thing that is awesome – on the back of each Onesta product, you will find instruction on how to use the product and how much of the product to use, depending on your hair type. Yep! They thought of everything. Each time you use the products you will know how much to use and will be able to achieve the look or style you like. 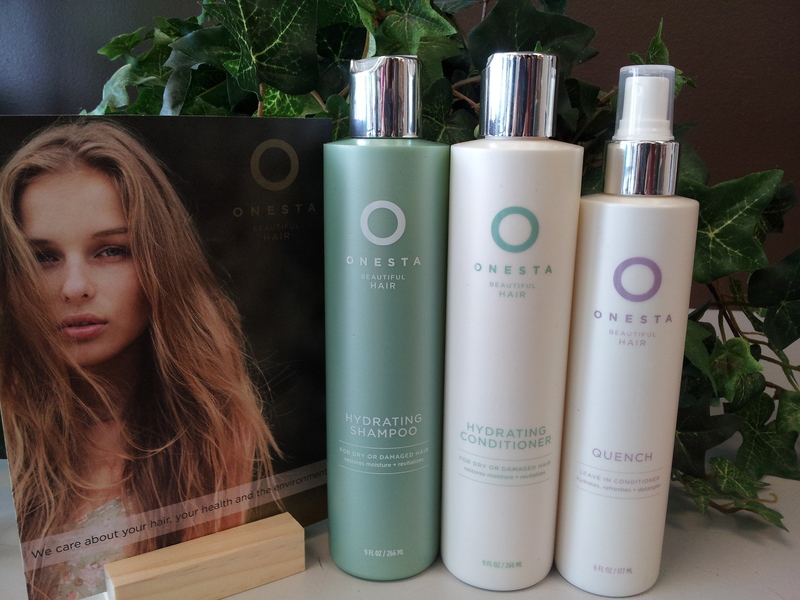 Onesta is a Professional hair care line that cares about their customers and the environment. No wonder Onesta means Honesty. Today’s tale is about the MIRACURL, one of the latest additions to the BaByliss Pro Hair Care family. The MIRACURL is the Original Professional Curl Machine. With this gem, you can have a full head of curls in minutes instead of hours…and the curls will last all day. 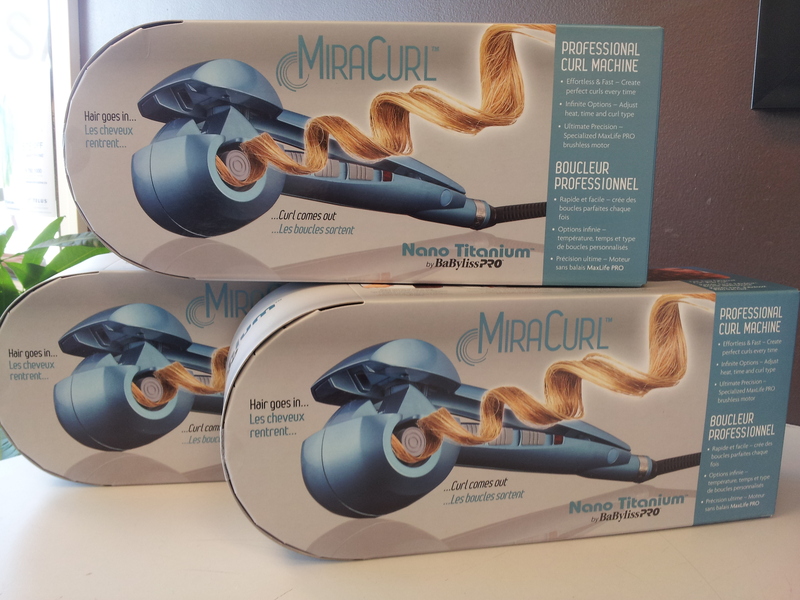 Since the launch of the MIRACURL in 2013, many other curl machines have appeared on the shelves. As always, my tales are aimed to educate and enlighten, so being me, I thought I would clear the air about the differences between the MIRACURL and the other curl machines on the market. – The MIRACURL offers 3 temperature control settings of 375, 410, and 450 degrees Fahrenheit. Many of the other brands offer 1 or 2 temperature control settings between 400 – 430 degrees Fahrenheit. – The MIRACURL offers 4 timer settings (0,4,8 or 12 seconds) for different curl tension and effect. Many of the other brands offer 3 timer settings (8,10 or 12 seconds). – The MIRACURL has a larger Nano Titanium curl chamber. Many other brands offer a smaller Ceramic chamber. – The MIRACURL offers a choice of curl rotation, right, left or alternate – which offers many different styling possibilities. Many other brands offer only one direction of curl rotation. – The MIRACURL has a motion sensor = a tangle free feature – if too much hair or not enough hair is put into the curl chamber, the curl chamber will not activate (the MIRACURL will actually beep at you to alert you), so there is no worry of a tangled mess. Some other models do offer a tangle free feature, some do not – so be sure to read the information and ask your stylist or salesperson about this feature. – The MIRACURL offers Smart Tech Safeguard – Auto Shut Off and an Energy Saver – Sleep Mode. Some other brands do offer these features, some do not. Be sure to read all the information provided and ask your stylist or salesperson about these features. The biggest difference between the MIRACURL by BaByliss and the other brands is this – the MiraCurl is a Salon Professional styling tool so it can last up to 10000 hours of use. From my questions and research of the other brands, their longevity is about 700 – 900 hours of use. I really was going to tell a tale of hairspray and the difference between the level of hold, or hold factor different sprays have, alas, that will have to be another tale for another time. As I began to write about hold factors, I found myself thinking about the hold factor of people, emotions and thoughts we allow in our lives. …what can I say, I have had 4 cups of coffee and this is how my mind works. As you know, I manage a Retail shop/Salon. The Salon is a place that men and women come to feel better about themselves, to improve their reflection, to find what was once lost. Some days, ours is a place of refuge from the pushes and pulls of their daily lives. It is their escape from whatever may have a hold on them that day – be it a sick child, an aging parent and more often than not, an escape from what they really think of themselves – or what they think they are supposed to think of themselves. For those of you familiar with my Salon Tales, you know that I haven’t always been the confident, classy, sassy and a tad smart-assy woman that I am today. I have been the young woman who missed out on trips to the beach because I wasn’t “beach body ready”. I have been the woman who was afraid to leave the house without her make up on. I have been the mother feeling like a failure because I thought it was protocol to drop my child off at the Birthday party, not stay and stand in line for my turn at pin the tail on the donkey. …speaking of which, whatever happened to dropping your kid off at their friends birthday party and picking them up when the party is over?…back to the tale at hand. I have been the woman who was judged because her 3 year old daughter knew the words to Domino by KISS. I have been the woman who put her dreams on the back burner out of fear of judgement from those who told me that “as a mother, to be fulfilled, your children should be enough.”. – now I know that they were drinking their own kool aid. …wait for it…there you go. Today’s tale is aimed at all the Ladies and Gents (yes Gents – men have hold factors too Ladies), to remind you that you are enough, that you are worth what ever you think you are worth – and only your opinion matters. – Do you have a dream? Is there something you have always wanted to do, ever since you can remember? Then do it. As parents, the best thing we can do for our children is pursue our passions and chase our dreams. How are our children going to learn to dream if we don’t show them how? – Go to the beach. Just go. Forget about being “beach body ready” and go and have fun. No matter what your weight or bust size – we all get sand in our suits. – Unless your name is on the birthday invitation to little Johnny’s birthday party – you do not have to stay at the party. Trust me, the parents that frown when you drop off your child and ask “what time should I pick them up?” are wishing they had the guts to do the same. – Ladies and Gents – let your spouses/partners choose the hair style they like, that they feel most comfortable with, that makes them feel desirable. It doesn’t matter how good you think a certain cut will look on them if it makes them feel ugly and inadequate. – The above goes for stylists as well. Never let a stylist tell you what cut you should have. It is a stylist’s job to help you find the look you want, not tell you the look you want. If you aren’t sure about making a drastic change with your hair, don’t do it. – I once read that “worrying is praying for what you don’t want” – remember that the next time you worry about the opinions of others. – If you want to change your hair color – go for it. *at the Salon. Becoming a blonde was the best thing I ever did. It hides my gray’s and I do have a lot of fun …proving that blondes are NOT dumb. – Introduce your children to music, from Mozart to Metallica. Music will open their minds and lift their spirits, no matter what the genre. In the wee small hours of the morning, all that matters is what you think. All that matters is you have done your best and that you will continue to strive for better. All that matters is that you are kind. All that should be important is what you deem to be so. The only hold factor you should be concerned about is the hold factor of your favorite styling product.